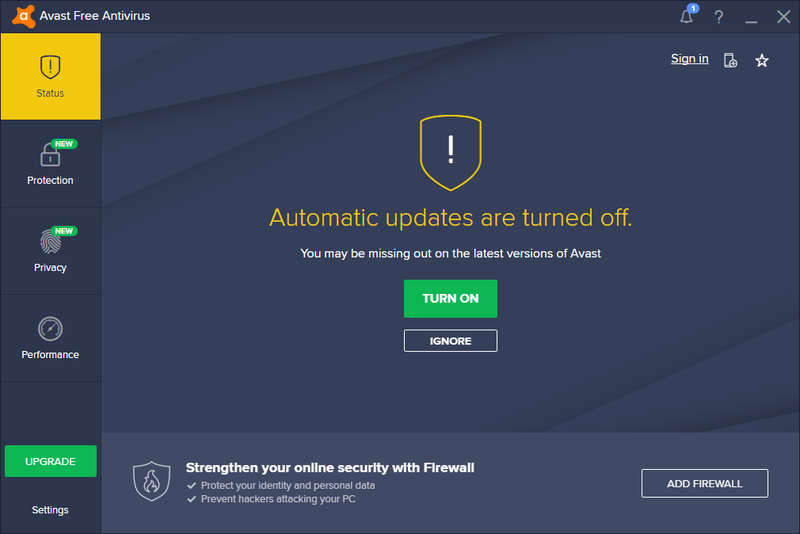 Avast free Antivirus is an antivirus program developed by AVAST Software. It is one of the best and popular free antivirus in this field. As of 2016, Avast had 400 million users and 40 percent of the security software market. It come with advanced application protection, Password manager, Network security inspector and automatic Game Mode. It also comes with the new passive mode. using this you can run multiple security products in parallel. It also checks installed application behaviors with the new Behavior Shield feature. Some other useful features are real-time protection, boot-time scan, CyberCapture and intelligent threat-detection. But note that its real-time scan won’t run until just before a process is about to launch. It is lighter, faster and take less scanning time campared to aother free antivirus solutions. Bitdefender Antivirus Free Edition is a free antivirus software from Bitdefender. This free antivirus from Bitdefender based on the cloud security with real time protection. The user interface is very simple just a button to run the full system scan, a option to scan specific files or folders, and a recent activity list. It comes with some useful features like real-time shield protection, Auto Scan with good intrusion detection system. Using its B-HAVE behavioral detection method you can monitor your active apps. Some other features are anti-phishing, anti fraud, HTTP Scanning, anti-rootkit and early boot scanning. Registration is required to use this product for more than 30 days. 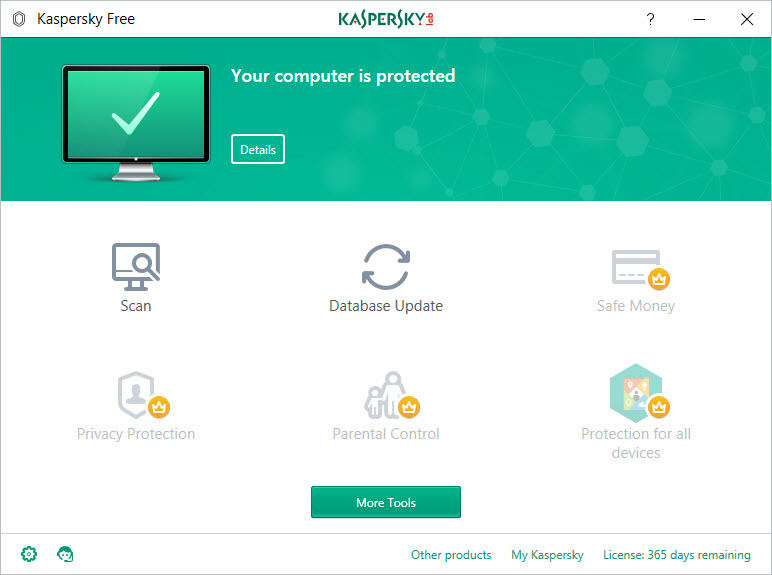 Kaspersky lab also provides free antivirus software to its users called Kaspersky Free Antivirus. 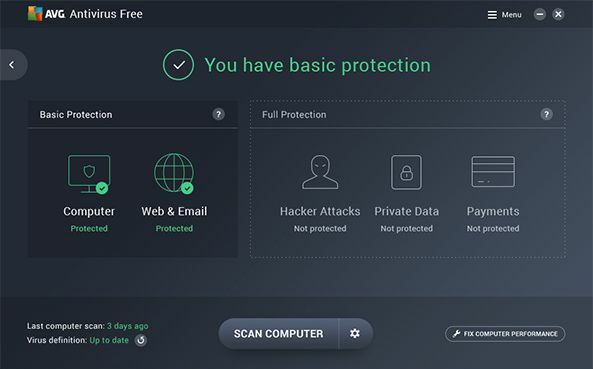 This is completely new product in the antivirus market.The main feature are file anti-virus, web anti-virus, IM antivirus and mail anti-virus. Some other features are automatic updates, self-defense and quarantine features. Panda Free Antivirus is an antivirus program developed by panda securities. It is free and lightweight antivirus for your system with quick and easy installation. 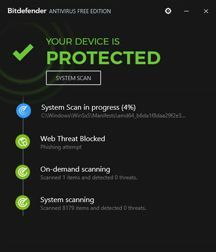 Panda free antivirus’s real time scan scans only on execution and also scans files when they are copied. Some of the major features are USB vaccination, Process Monitor, Panda Safe Web and Rescue Disk. Panda’s USB vaccination blocks auto launching applications from USB disk to protect your computer file modification or deletion. Rescue Disk provides bootable antivirus environment for your system to remove some nasty malwares. AVG AntiVirus Free is a free antivirus software from AVG Technologies. Now AVG Technologies is a subsidiary of Avast Software. AVG provides real-time security updates and it scans for both malware and your pc performance issues. It blocks and removes malicious downloads before they downloled on your PC. It also comes with AVG Web TuneUp plug-in and AVG file Shred. Avira Free Antivirus is also one of the best free antivirus and one of the most widely used antivirus programs in the world. It comes with antivirus scanner to scan and remove malwares, viruses, Trojans, worms and other harmful things. The best feature is the real-time cloud scanning technology. It scans the file’s digital fingerprint with their cloud protection to find the file health. 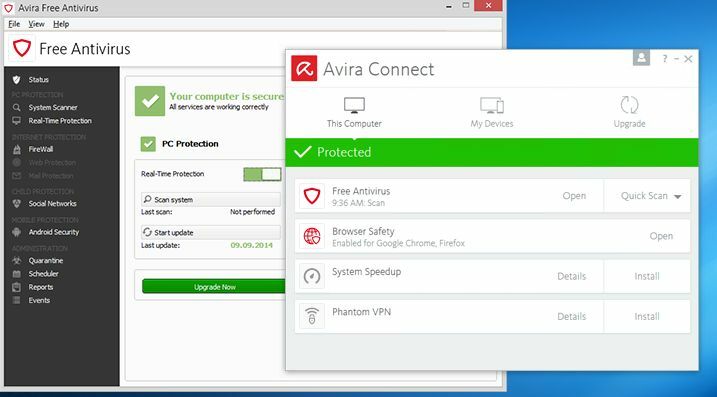 Avira Browser Safety is a freee browser extension comes ith Browser Tracking Blocker and Safe Browsing features. I NEED PC ANTIVIROUS Pl. Microsoft Security Essentials is the best antivirus software out ther. I been using since it’s been out not 1 virus have infected my system plus it so smooth and fast it Rocks!